Julian Castro Meets With Donors To Plan 2020 WH Bid - Joe.My.God. Julián Castro convened a group of supporters in San Antonio Monday in preparation for a 2020 presidential campaign, sources familiar with the gathering told POLITICO. 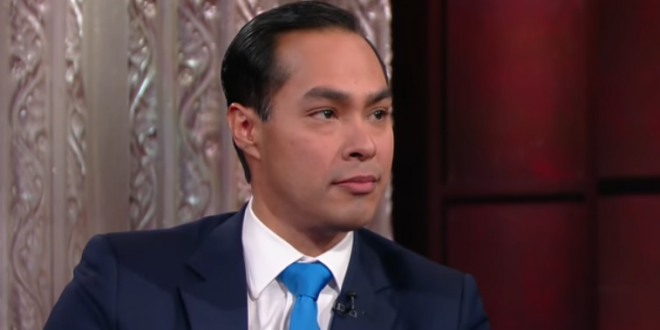 Castro and his twin brother, Rep. Joaquin Castro, brought together about 20 of their loyal donors and bundlers in San Antonio to begin to sketch out a national bid, according to one person present and another with direct knowledge of the meeting. The former mayor of San Antonio and secretary for Housing and Urban Development in the final years of the Obama administration has been strongly hinting at a presidential run over the past year. He has made several trips to early primary states, written a memoir, and created and formed the Opportunity First PAC to help build the Democratic bench. During his book tour this fall, Castro told Rolling Stone that he is “likely” to run.